Allows for sitting without bending at the hip. 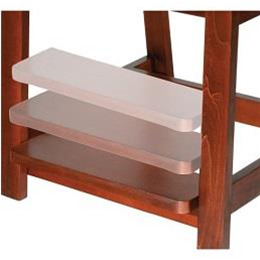 Armrests make sitting down or pushing up to get out from the chair safe and easy. 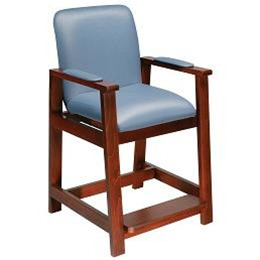 Attractive vinyl seat and backrest are soft, washable, comfortable and water resistant. Constructed of solid maple hardwood—not a plywood veneer.